purso had the most liked content! 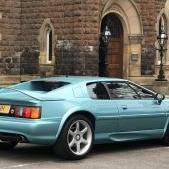 Very sad day but the esprit has just been collected and is going to its new owner as we speak. Thanks to Barry and Bibs for your help with the car and Alan for your pointers. Unbelievable car, feel like poop! Thank you both very kind! Also the only pace its advertised so far. sounds interesting but not really in the market for one of those plus the current model starts playing up when these scenarios crop up! i will accept a house if you want to give me one of them for it Alan Then no need for a divorce! If it’s one of those appreciating classic chain saws I’m in! Sounds fair mate, what do I get though? i have had c5/c7 rs6s, c5 is an awesome car, one thing to look out for is the date the cambelt and water pump were done as these are required regularely. 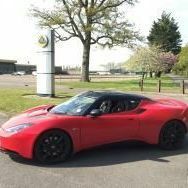 Also brakes are a tad pricey but great cars I love them! Hahaha what's the guy on the right gonna do? Well done sure you will have a car treasure! !